Is Nura creating the perfect headphone? Most people take for granted that everybody interprets sound equally, but according to Nura, each person’s hearing is as unique as their fingerprint. Subtleties exist within wavelength ranges that are different from one individual to another. In other words, everybody hears differently. But Nura’s ambitious Kickstarter project promises a headphone that is capable of using sound waves to analyze the user’s unique hearing fingerprint, determining the optimal and precise settings to deliver the best possible listening experience. Nura uses a hybrid over-the-ear/earbud combo. The over-the-ear cup provides deep bass while the earbud provides crystal-clarity for delicate sounds and high notes. Additionally, the hybrid design doubles noise cancellation and isolation. 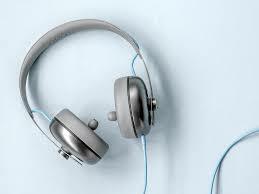 Apparently, plenty of folks think these headphones are a great idea. Only halfway through their Kickstarter campaign, Nura has already more than octupled their $100,000 funding goal. Likely they will reach $1 million dollars in funding before the campaign ends. Considering each set of headphones is expected to retail at $250, that’s an awful lot of headphones sold before they even enter mass production. For music enthusiasts, the Nura headphone is a unique approach to the smart headphone. Watch out for this one.